This mattress review will put two of the most popular foam mattress providers to the test. 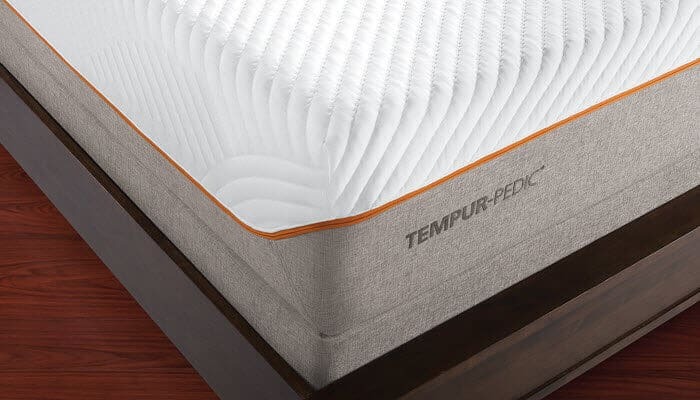 Tempurpedic is the foam mattress that began the industry years ago – if you haven’t been living under a rock, it’s highly likely you’ve seen these mattresses mentioned on television or in print. They’re distributed by a wide variety of different mattress retailers and can also be bought online. They’re also one of the most expensive mattresses on the market. 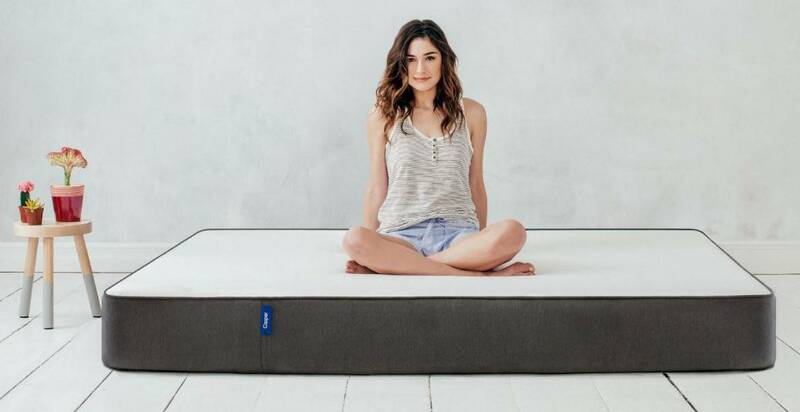 Casper on the other hand is a relatively new entrant to the industry, but they’ve managed to make massive headway because of their ability to provide high-quality, low-cost mattresses via their online store. In this review, we will be taking an in-depth look at both of these mattresses to determine which one is the best fit for you! Casper is an emerging U.S. based company that has attempted to take the foam mattress industry by storm. They recognized the severe gap in attainment when it came to high-quality mattresses and wanted to make it easier for people to own their own foam mattress. The business model has proven to be extremely successful – Casper has grown into well-known company. If you order a Casper mattress, you will receive free shipping with any mattress purchase. In addition, all their mattresses come with a 10-year warranty. You will also be able to return your mattress for a full refund in the first 100 days of ownership if you are unsatisfied with your purchase. This layer is in place to provide comfort and breathability. It is manufactured using a unique poly foam that is hyper responsive – it is 1.5” thick. This is a great addition to the mattress as it allows the owner to have a cool and comfortable sleep – there is minimal heat retention. This is the memory foam layer – it is also 1.5” thick. This is one of the primary comfort components of the mattress. Because memory foam retains heat, they’ve made this the second layer of the mattress so the top layer can dissipate some of the heat. This layer is exactly the same as the top layer – it’s in place to contribute to cooling the mattress and to provide a transition layer for the bottom of the mattress. The foundation layer of the mattress is arguably one of the most important components. It is what provides the support for the rest of the mattress. Without this layer, you wouldn’t be able to take advantage of the comfortable components of the mattress. This layer is 5” thick. 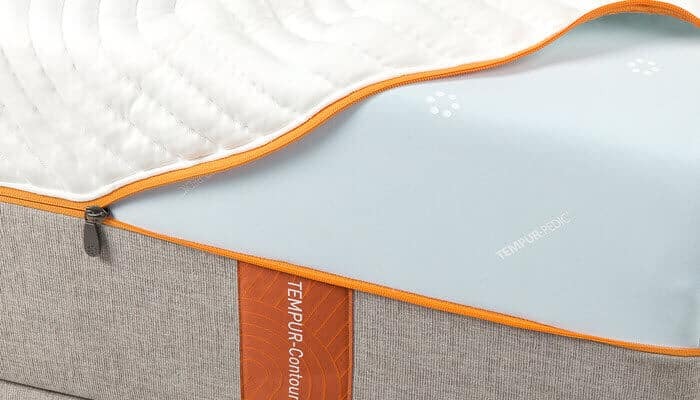 The total thickness of the Casper mattress is 9.5”, so it’s slightly thinner than the Tempurpedic mattress. Casper does a great job of using each layer to its full advantage. There isn’t a wasted inch of material included in the bed. You’ll find that this is one of the most breathable mattress options on the market. The Casper cover is similar to the Cloud but it has a different material composition. The top of the cover is made from 100% polyester, while the sides are made from a mix of polyester and polypropylene. This allows for the sides to be a bit sturdier than the top of the mattress, which results in added edge support. Edge support is an often overlooked quality in foam mattresses – but it is highly necessary since the foam itself doesn’t provide as much edge support as other forms of mattresses. 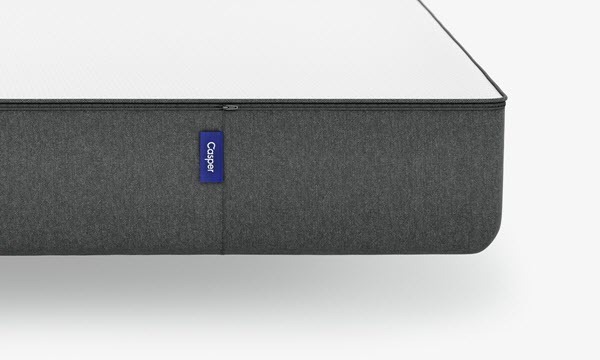 Like the Cloud cover, the Casper cover is thing and stretchy – it’s made to hold things together and protect the mattress. The cover aims to avoid taking away any of the traits of the mattress. The mattress is extremely comfortable according to its customer base. Casper has reduced the price for an affordable, comfortable foam mattress – something that has been welcomed amongst consumers that have previously been unable to afford foam mattresses. In terms of support, the Casper offers slightly more support than the cloud. It comes in at a 6/10 – just a point higher than the Cloud’s support. This means the Casper also follows relatively close to the middle of the pack in terms of firmness. This is great for those who have a normal weight, but people who are a bit heavier of sleepers may find that there isn’t enough support to help them maintain a pleasant sleeping experience. Fortunately, the Casper does a great job of remaining breathable. This has been one of the major drawcards of the mattress, the poly foam at the top of the mattress means the memory foam is unable to hold too much heat. If you’re looking for comfort but you often overheat in beds that contain foam, the Casper is a great choice. 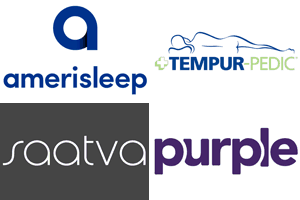 Tempurpedic is one of the biggest mattress companies in the United States. They’ve been in business since 1992 – meaning they have 25 years of experience creating luxury foam mattresses. At present, they are actually a subsidiary of Sealy – another large mattress manufacturing company that has a significant presence in the United States. They’ve won numerous awards for the quality of their mattresses. If you buy a Tempurpedic mattress, you will receive a 90-day trial in which you can return the mattress at any point for a full refund. You’ll also receive a 10-year warranty on your mattress. Lastly, shipping is included free of charge for any mattress you purchase. The top layer of the Cloud is one of the most important components. It is the part of the mattress that has direct contact with those who own it. It consists of visco elastic memory foam – it is 2” thick. When you think of the comfort and hug that at a Tempurpedic mattress is famous for, this is the part of the mattress that is responsible for it. The second layer is made of the same material as the first layer – it just happens to be a bit denser in order to provide additional support to the first layer. This layer is also 2” thick. This layer is made from polyurethane foam – it is 4” thick. This is a transition layer that provides support for the top layers as well as a buffer between the comfort layers and the main support layer below. This is the last layer, it is also the support layer. It is made from the same material as the third layers but it is more dense – it provides the main support for the mattress. This part of the mattress is 3.5” thick. The cover of the Cloud is another unique part of this mattress. Many foam mattress producers have been manufacturing their covers using complete polyester in recent years. This is true of the Casper mattress. But the Cloud cover contains a blend of polyester and spandex, which gives it a bit more elasticity. This means that the cover can better respond and withstand stressors. The cover does a great job of ensuring that the mattress is breathable. This is true for a lot of foam mattress covers these days – manufacturers are trying to ensure that they don’t ruin the properties of the mattress by employing a bulky or thick covers. Tempurpedic sprung onto the mattress scene 25 years ago because of how wonderful their mattresses felt. The company has managed to maintain this reputation for over two decades – they’re an industry leader for a reason. In terms of support, the Tempurpedic is right in the middle. On a scale of 1-10, we are scoring the Tempurpedic at a 5/10. This is great for people with a normal weight distribution, but it can be difficult for those who are a bit heavy – you may feel as though you’ve completely sunk into the mattress. Depending on your preferences, the Cloud might be the perfect mattress for you. Most people really enjoy the way the mattress hugs your body throughout the night, they also feel that it is one of the softest products on the market. Because of the way the top layer of the mattress works, you may feel that you are falling into the mattress for a prolonged period of time. This is natural – the mattress is trying to adjust to your body size when you first lie on it. Some people may not like this sensation. There is minimal motion transfer with the Cloud, you’ll find that moving on one side of the bed does absolutely nothing to the other side of the bed. This is a great feature for those who have restless partners who move often in the night. The one downside of memory foam is that it can retain a bit of heat, but the Cloud does a good job of alleviating a lot of this heat, and it isn’t a major issue for a lot of owners. One of the major factors that will be part of your decision if you’re thinking of buying one of these two mattresses will be the price. Tempurpedic is the Cadillac of foam mattresses and this comes at a significant price. Casper has brought affordability to the industry. As you will see below, Tempurpedic Clouds are very expensive and will only be affordable for those who have high budgets. Keep in mind, both of these manufacturers offer their customer financing. Tempurpedic offers 48 months interest free. If you’re trying to decide between a Tempurpedic and Casper, there are a range of different factors you may want to consider. If you weigh a normal amount and you don’t have a budget, the Tempurpedic may be the best option – it really is the top-of-the-line foam mattress. But most people do have a budget and the cost of the Tempurpedic may seem excessive. In addition, the Casper is able to provide a bit of a bounce to those who lay on it, which the memory foam on the Tempurpedic doesn’t offer. If you really look at value for money, the Casper if far ahead of the Tempurpedic. If you do happen to be heavier, the Casper is also a bit more responsive. Another major advantage that the Tempurpedic has is that you can go and test it out for yourself instore no matter where you are in the country. They are carried by a wide variety of mattress stores – go and lie on one if you want to see what all the craze is about.